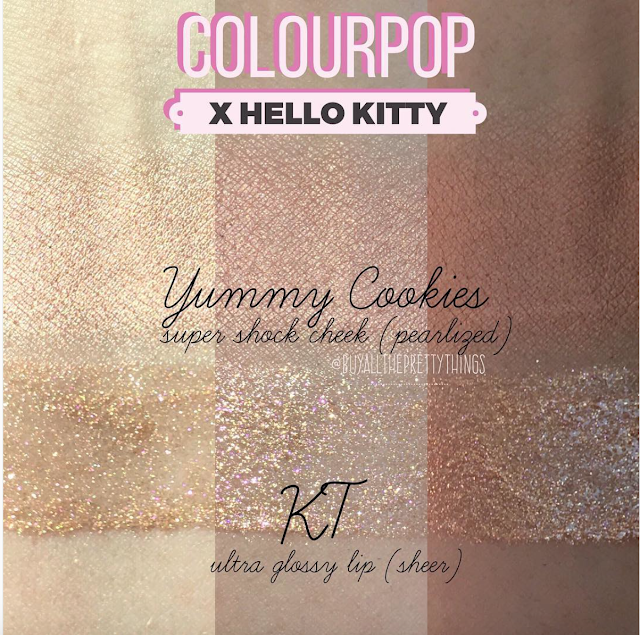 NEW ColourPop x Hello Kitty Collection Launching Soon! 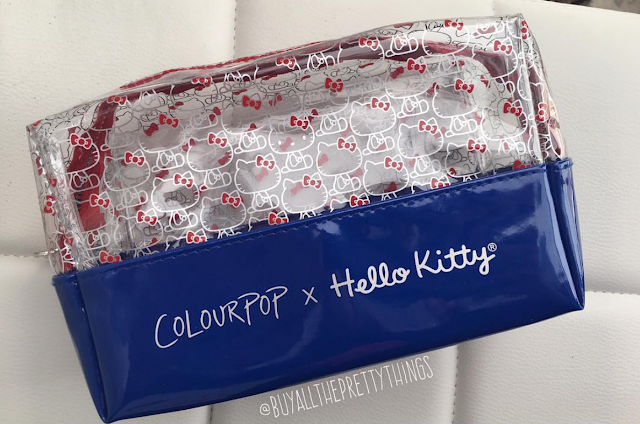 Hello Kitty fans rejoice! 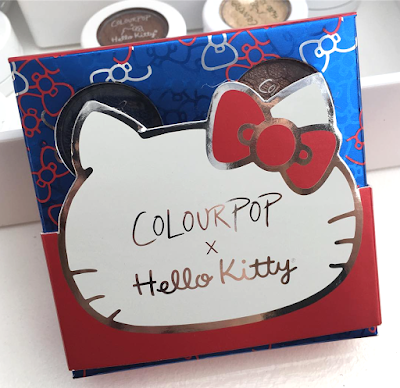 If you love makeup then ColourPop's surprise collab with Sanrio is very exciting news. When I first found out, I actually gasped. I have been an HK fan since I was a kid so needless to say I will purchasing quite a bit from his entire collection, which is their largest collab yet with 23 items total. 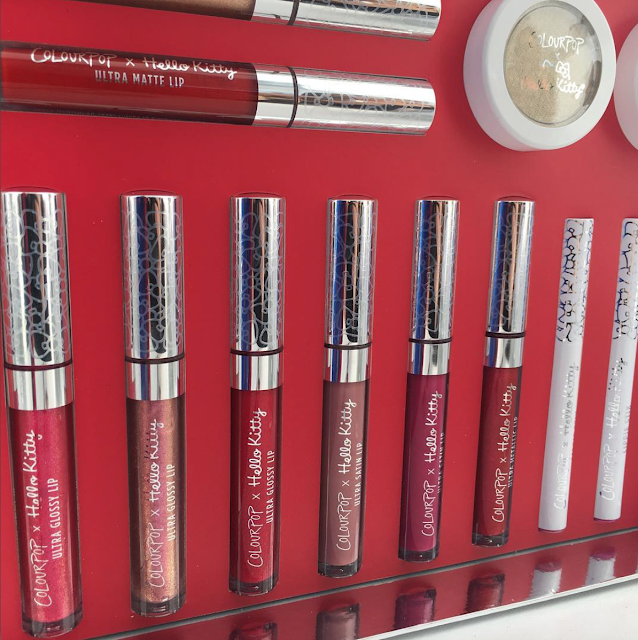 Full Face Kit, $42: includes 3 eyeshadows, 1 blush, 1 highlighter and ColourPop's signature matte and gloss lip items (not sold individually). 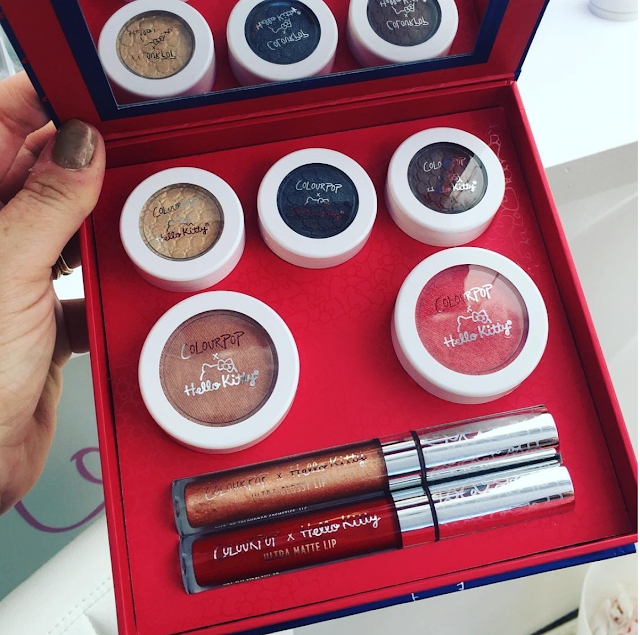 See swatches on darker skin here. The indoor lighting doesn't make the highlighter look it's best but just check it out in sunlight here. SOLD! 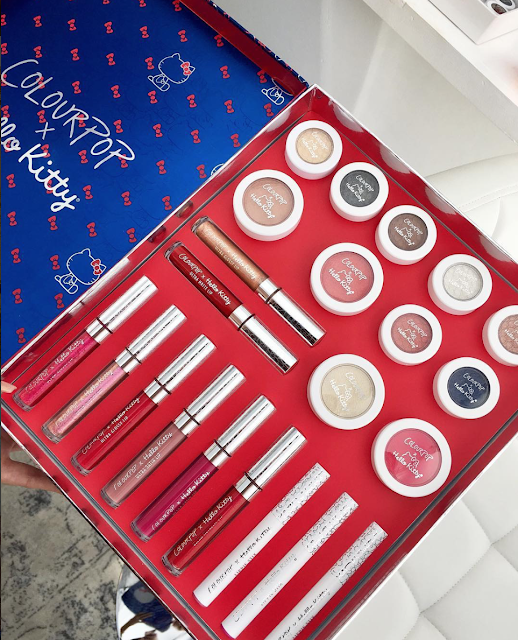 Oh and I almost forgot the best news of all, this collection is dropping on Hello Kitty's birthday on November 1st! That's just 9 days away. 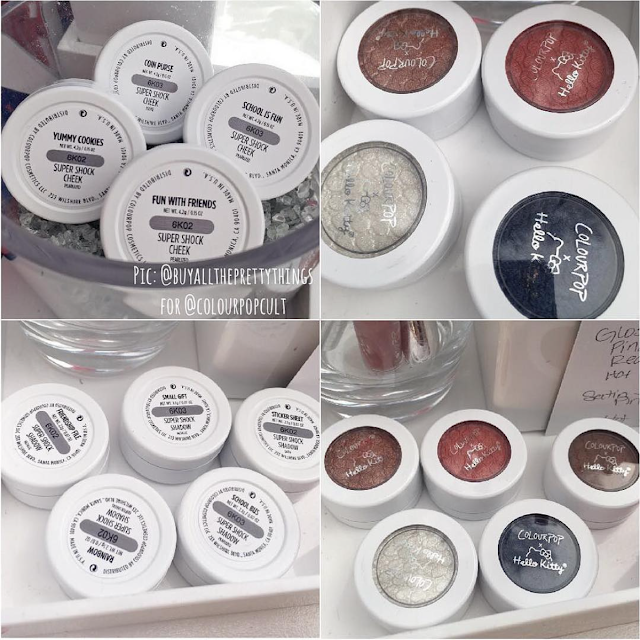 I hope you have your coins ready because this collection is sure to go fast. 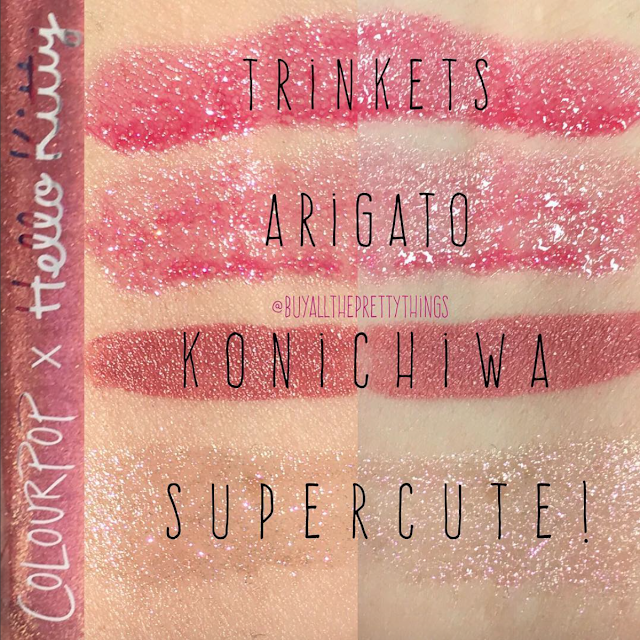 >>UPDATE: Check out my new post for this collection with more swatches here.